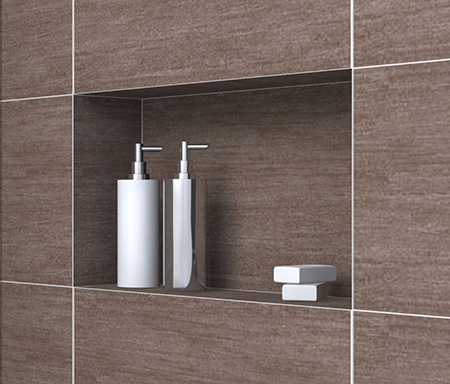 pro NICHE is a watertight tileable recess for tiled showers or above a bath. Simple to install and tile. pro NICE comes with a 15 Year Guarantee yet will last a lifetime. pro NICHE wall recess can be installed horizontally or vertically.